DMP Industries brings the motorcycle enthusiast a new line of fender eliminator kits for modern sportbikes. DMP Industries fender eliminators are based on the philosophy that motorcycle riders should be provided with high quality components at reasonable prices. Each fender eliminator kit is precision laser cut from high grade steel to ensure strength under stress and precise fitment. Each component is treated with a durable powder coat finish to resist corrosion and weathering. High quality lock nuts and bolts make sure that the DMP Fender Eliminator kit remains intact even at high speeds. Every fender eliminator has license plate mounts that offer secure fitment for several different size license plates. 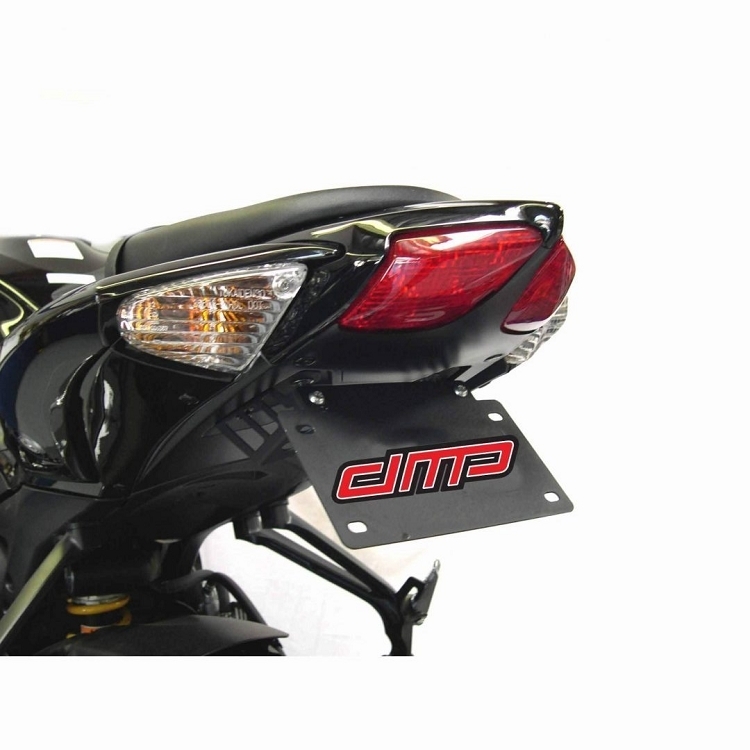 The DMP plate bracket has inconspicuous mounting points for aftermarket turn signals. Each DMP Fender Eliminator kit mounts to the stock location to remain road legal. No body modifications or drilling is necessary. Well written instructions with color photos make installing each unit fast and easy.